Abilene Takes Down Clay Center in Duel 54-24! 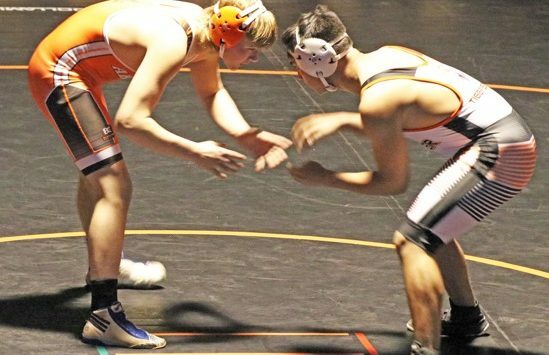 The Abilene Cowboy wrestling team improved to 3-0 in the NCKL Thursday night with a 54-24 victory at Clay Center. The Tigers had 6 open weight classed in the duel. Clay Center was open at 113, 120, 132, 170, 182, and 220. Abilene will wrestle Saturday at Phillipsburg and then wrap up the regular season next week vs Chapman on Thursday and at Marysville on Friday. Thursday’s duel will be broadcast on KABI, the duel will get started at 6:30 and our coverage will begin at 6:15.